Here is the event of the day & schedule for Week18 of #Pldays. 6 days in advance. Look forward to see you all! 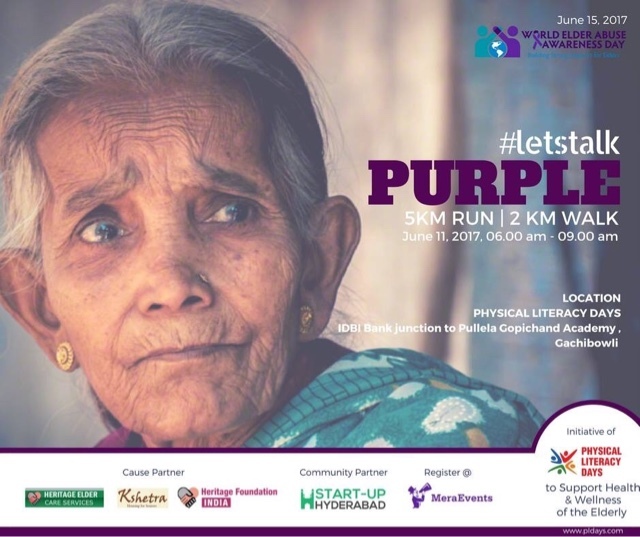 Physical Literacy Days in association with Heritage Elder Care Services, Kshetra Foundation and Heritage Foundation and Startup Hyderabad organizing ‘ Let’s Talk Purple – 5 km RUN & 2 km walk“ on the occasion of World Elder Abuse Awareness Day 2017 (Actual day is on June 15, 2017) on June 11, 2017 at Physical Literacy Days, IDBI Bank junction to Pullela Gopichand Academy. 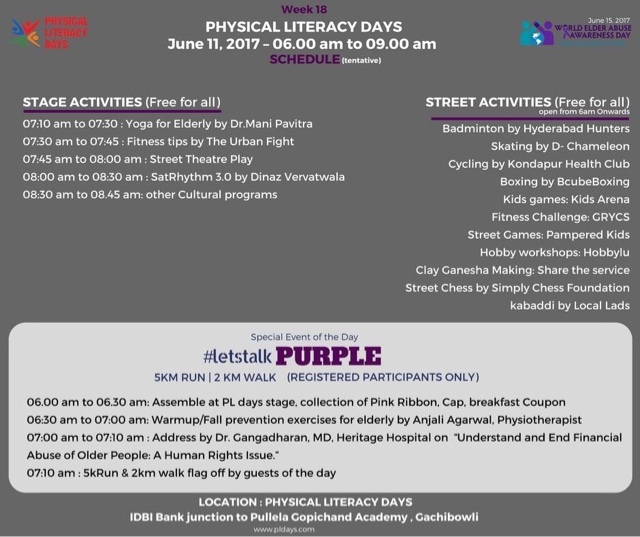 This event is being organized to support the elder health and wellness & also create awareness on the elder abuse among youngsters who can be agents of change in dealing with this issue, which is becoming a huge public health problem.